It’s football fever up on the mountains with the launch of Genting Football Fever 2018 yesterday. As the days draw closer to FIFA World Cup scheduled to kick off on 14th June in Russia, guests of Resorts World Genting are encouraged to don the football jersey of their favourite team and slip on those imaginary football boots! In the coming months, Resorts World Genting is going to be transformed into a mountaintop football pitch, allowing guests to unleash their inner football talent. The highlight of Genting Football Fever 2018 is probably the appearance of three football superstars, including Michael Owen, who will celebrate the official opening of the World Cup! The two others are Robbie Fowler (former Liverpool and England striker) plus Paul Scholes (former Manchester United and England midfielder). How exciting can things get? Don’t we want to get up close and personal with them? Oh, the better news is that while you are having a good time at Resorts World Genting, stand a chance to win a tour package to travel to Moscow for the 2018 World Cup Opening Ceremony. Personally experience the thrill of the event where 32 of the world’s best national football (or soccer) teams will compete for glory. There shall be ten winners, so do your best to secure one spot for yourself! 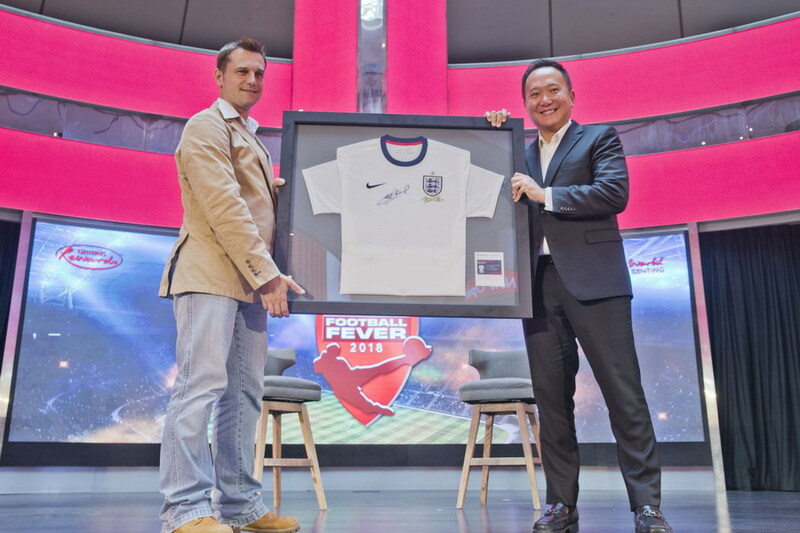 Joining Kevin Tann, Vice President of Promotions and Entertainment for Resorts World Genting, on stage at the launch of Genting Football Fever 2018 was Gavin O’Luanaigh, Chief Marketing Officer of Football Focus Asia Group. Over RM1 million in prizes await Genting Rewards card (GRC) holders at the Genting Football Fever 2018 including a total of 10 Russia Travel Packages. If you are not a member yet, sign up and become one now. The packages include return flights, four nights accommodation and a FIFA Club ticket for the 2018 World Cup Opening ceremony in Moscow. In the Spend & Win category, GRC members who spend a minimum of RM500 in a single receipt at participating first party outlets in Resorts World Genting for the period March 1-30 April 2018 will be eligible to enter a draw for the Russia Travel Packages (tickets for two persons) by completing an entry form together with the receipt, then slot it into the contest box at the SkyAvenue information counter on Level 1. In the Shop & Dine category, which covers participating third party outlets in Resorts World Genting, GRC members qualify for Russia Travel Package (tickets for one person) with a minimum spend of RM500 in a single receipt. There is also a chance to win a lifestyle SUV: a brand new Toyota C-HR 1.8, with a sleek diamond design for members who spend at the Resort. 3 Responses for "2018 FIFA World Cup Fever @ Resorts World Genting"
Congratulations for this launch! Hoing for its more success and more winnings! Oh. Congratulations on the launch. Wishing you all the best of luck. The prize package they offer looks really good! Good news to those who are FiFA football fans!